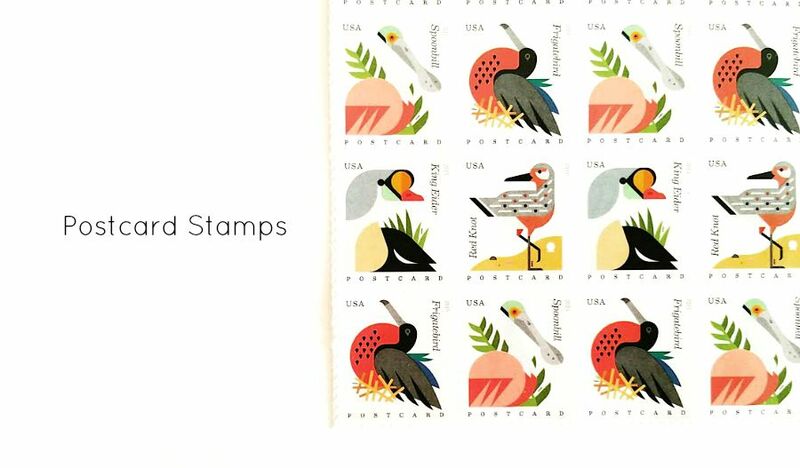 Fun Fact: Did you know that there is a such thing as "postcard" stamps? Did you also know that it is 14 cents cheaper than the standard US forever stamps? 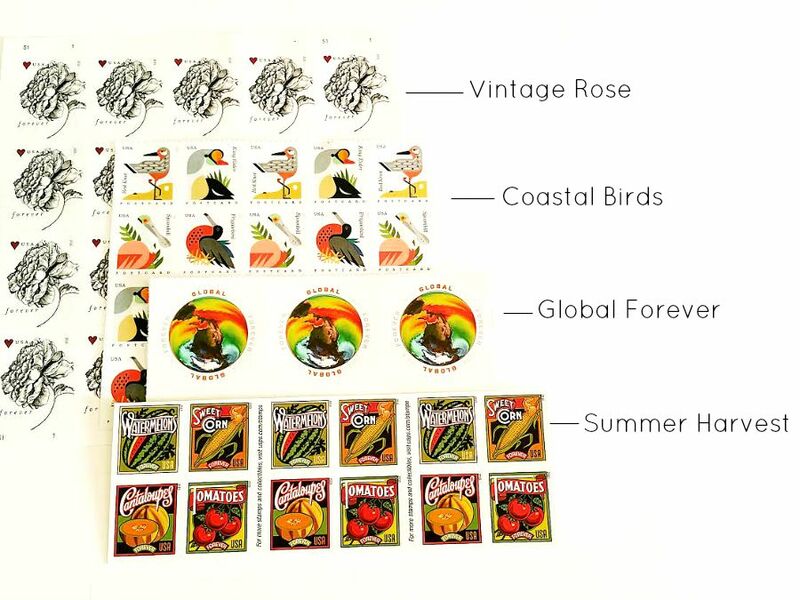 Along with the Coastal Birds postcard stamps, I picked up another sheet of the Vintage Rose, Global International stamps, and the Summer Harvest this weekend. As I'm slowly making my way back into snail mail again, and it feels nice. I forgot how good it feels to engage in the act of giving. They are all so pretty. I particularly like the Summer Harvest range. Shame I'm in the UK! I'm sure that the UK has some really nice stamps as well! Now the best place to buy stamps include the dealpot, auctions, stamp dealers and the internet. I bought a lot of mine from the dealpot directly. They have made a few errors but the service has been good.